Athol Varley already had a pilot’s licence when he joined the RAF in 1941, but his eyesight precluded him from flying in combat. Instead a disappointed Athol spent much of the war bored, frustrated and dreaming of his sweetheart, the woman with whom he would spend the rest of his life. His diary records no heroic escapes or acts of bravery, but portrays an ordinary young man who was keen to serve his country but grew increasingly disillusioned with his lack of involvement in a war that seemed remote. Having too much time on his hands allowed him to write many letters and diary entries about his thoughts and feelings. 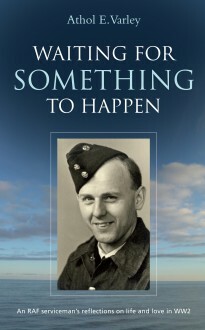 The result is an interesting insight into the hopes, fears and attitudes of the war years. Athol Varley’s diaries have been collated and edited by his daughter, Adrienne de Mont.